The iMovR ThermoTread GT office desk treadmill is a reliable, easy to use, and exceptionally quiet product. 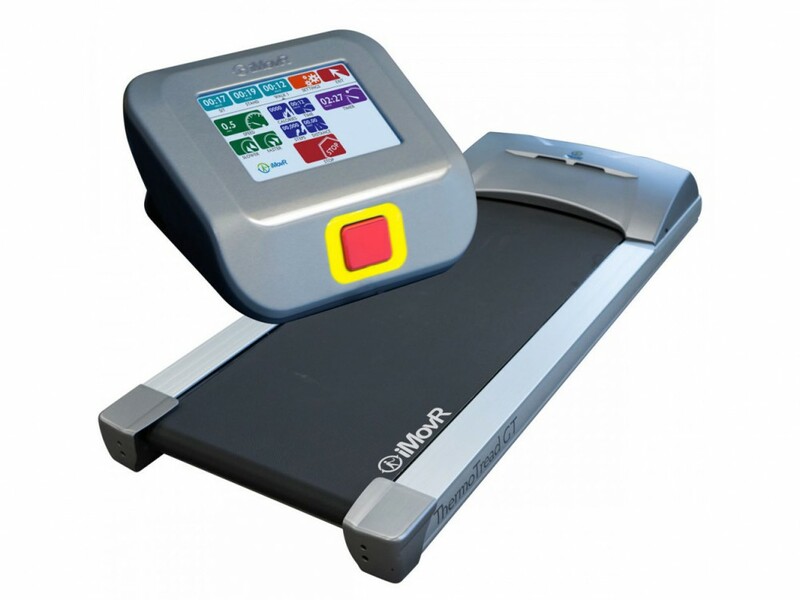 Compared to the leading models from other companies this treadmill is a clear standout. Everything from controlling the treadmill to tracking stats is intuitive and as easy as interacting with your phone. If you are looking to trade up to a nice under desk treadmill or start with one you will be able to use for many years, this should be a candidate. 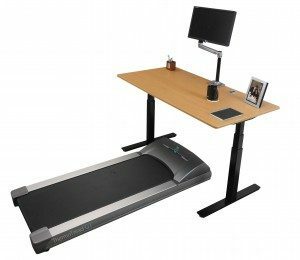 This is a very nice under desk office treadmill with a great feature set and clear for-office design. The look is very professional. The treadmill is very quiet. The motor is designed specifically for walking (low speed, high torque). The interface is attractive on your desk and uses a simple touch screen. And, the overall experience is very good. The primary drawback of this treadmill is the lack of Bluetooth connectivity and a phone app. 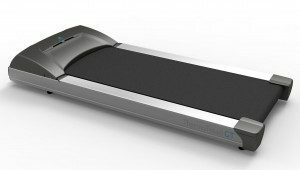 iMovR is closing the gap in this area with an upcoming cloud based add-on product that will integrate the treadmill or the entire iMovR desk system with the cloud… but that is a separate (and compatible) product, not this treadmill. One note about the treadmill experience. All well designed treadmills work and feel essentially the same while you are walking. The real difference is the desk that you place it at. In this review I am focused on the treadmill. In others (See the iMovR Omega Olympus and other iMovR desk system reviews) I get in to the information you need to know about ergonomics and long term wellness with a treadmill. Treadmill desks are becoming quite popular as people in the United States, Canada, Europe, Australia, and Asia focus more and more on their total wellness in life. The amount of stationary sitting people do while at work in informational roles sitting at a computer is significant. Many see this as an opportunity to get in some low intensity physical activity. Hence there are many products designed to get you moving. Treadmill desks are one example of a moving-while-working product. Treadmill desks are essentially a treadmill underneath a desk that can raise up high enough to get the ergonomics of standing generally correct. Under-desk ellipticals are another version of this same get-moving movement. In this case people sit and use a compact elliptical while they work at their desk. Under-desk cycles are also starting to become more popular. These are essentially a small bicycle system that fits under a desk. Often the desk is raised up to allow for some additional room for the legs to move. The drawback of all of these is that they cause your body to move while you are trying to use a stationary keyboard and mouse, both which require high precision. To counteract the motion you tend to tense your hands and flex hour shoulders, elbows, and wrists to provide pressure into the desk in front of the keyboard. Over time, this causes major problems with the tendons and joints. So, ultimately you have to decide whether the benefit of moving while working is greater than the drawback of the poor ergonomics and pressure on your joints. The GT is well designed and built. Here are the specifications for comparison with other treadmills. 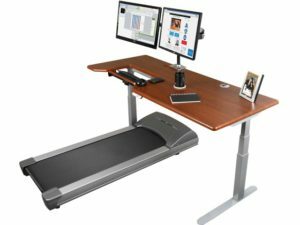 Be sure to check out our extensive content on adjusting to and using a treadmill desk. We even have articles on building your own.